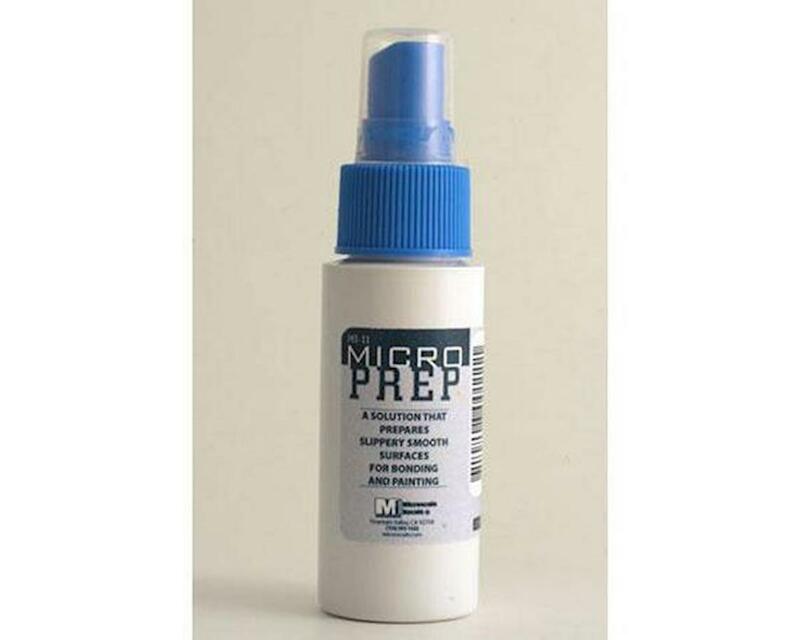 Microscale Industries Micro Prep Solution, 1 oz. MicroPrep is a surface treatment applied to a difficult to bond surface (Delrin, Celcon, etc.) prior to bonding and or painting. Use a brush or pump action nozzle to apply.